Are you interested in high-definition quality whenever you decide to watch a video? Android TV boxes are popular these days because they manage to transform your TVs into smart home entertainment systems. 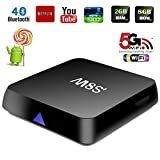 In this post, we will review the M8S TV box, one of the cheapest Android streaming devices currently on the market. 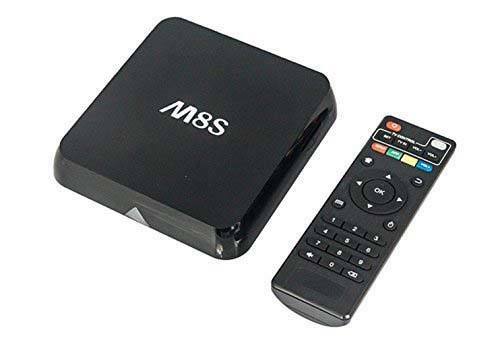 One of the popular products in the category of TV boxes that feature the latest multimedia technology is M8S Android Box. What sets this set-top box apart from many of its competitors is its price. You will not find many streaming devices with equal hardware that can beat the M8S in terms of value. Also, you get an already preloaded Kodi installation and its must-have add-ons. This allows you to plug the box in and start streaming within seconds. 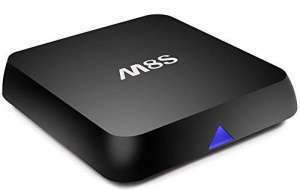 M8S TV Box is based on the Android system. It provides high-speed Wi-Fi for HD video streaming. Thanks to the quad-core CPU, 8 core GPU and 1 GB of RAM, the M8S can cope with even the most demanding apps and games. It works very well with numerous video files and supports advanced features such as Airplay, Miracast and DLNA. Additionally, it offers the right support for all the required external devices you might need to use such as SD, MMC, SDHC cards, USB disks and flash drives. You get everything you need in the package you receive to ensure proper installation and ease of use. The M8S TV Box features an Amlogic Quad Core CPU of 2 GHz. It also features a 2 GB DDR3 RAM and a NAND Flash ROM of 8GB capacity. Regarding the memory configurations, the TV box supports maximum 32 GB on a micro SD card. Additionally, it comes equipped with a built-in antenna. While the above specs certainly aren’t the best of any set-top box available, it is more than enough power to stream HD content and play games without any stuttering. There are some great cheap controllers compatible with Android boxes that can transform your TV box into a gaming console. The device allows easy installation based on simple plug-n-play and the guidelines presented in the instructions manual. As soon as you get the device out of the box, something will attract your attention: it is the blue light from its front side. The light is dim when the box is on, so it will not disturb you no matter where you decide to place this TV box. When you set the device to sleep mode, the light will go off completely. The M8S TV Box enables the next generation communication connections: Bluetooth 4.0 and 2.4 GHz Wi-Fi . The included card reader recognizes MMC, SDHC and SD cards. Regarding the video output features, the system supports all standard HD, SD and Ultra HD output and decoding features. The LAN Ethernet interface is standard RJ-45 supporting up to 100 Mbit. Whilst not a huge issue, many newer boxes support 1 Gbit LAN connections. The M8S TV Box features a full-sized SD- cards slot on the right side. The rest of the ports, such as HDMI and USB, are located on its backside. Within the package, you will also find the remote control, the power adapter, an HDMI cable and the user manual for proper installation and use. The manual is quite brief and won’t give you too much information beyond basic set-up. Now, one thing needs to be said: The remote is complete rubbish! It registers presses inconsistently and lacks dedicated media buttons. 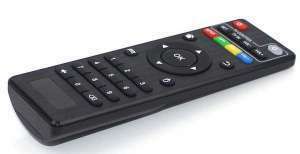 We highly recommend upgrading to a quality remote that can be used across multiple devices. The M8S TV Box works based on the Android 4.4.1 KitKat operating system. It enables multi-language features and supports Miracast, DLNA and Airplay network functions. Also, tt allows users the possibility of choosing from various options in terms of decoder formats: HD MPEG 2.4, HDAVC, RMVB, H265 and H264. The TV box also supports numerous media formats such as AVI, MPEG, MPG, RM, DAT, ISO, MOV, VOB, TS, RMVB and others. Moreover, the supported music formats are MP3, APE, WMA, FLAC, AAC, HD, OGG, DTS, True-HD and others. Sadly, despite its more than capable hardware, there is no update to a more recent version of Android available. Whilst this won’t have much of an impact on your current use of the device, it may impact you down the road once apps require a higher version of Android. Thanks to its friendly user interface, the M8S TV Box is easy and fast to navigate. It does not exhibit any delays or slow response. Despite the low price tag, the box feels as fast and responsive as many higher priced boxes. The system also features the latest audio pass-through capability in Kodi. This feature allows you to send the audio signal from your player to your audio system. You can do so without actually doing anything to the signal. With this, you will get much better sound through the audio pass through as opposed to letting your TV box handle it. The M8S Android Box features improved performance through hardware decoding capability. This feature allows it to make the raw video files smaller, thus easier to transmit over the Internet or another network. You will get better compression efficiency this way. Ultimately, this enables HD content playback at smooth frame rates without any stuttering or delays. Additionally, with this professional TV box, you will also get dynamic refresh rate switching capability. With this device, you can now have access to an interface that can natively run at 60Hz and 1080p. This will make the menus look completely flawless. Moreover, with such devices, you can set every video file to feature a different refresh rate. Such manual settings will help you make sure that you never have issues with the refresh rate capability. Every new device will eventually need to be updated. The manufacturer of this TV box has thought this through. It ensures Over the Air Firmware updates without interfering with the overall performance of the device. The update app will check and see whether there are any updates available. This will make it a lot easier for users to keep their device updated without having to interfere in the process. 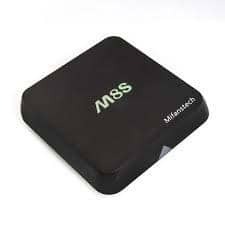 As far as the reviews offered by previous customers go, we can conclude that the M8S TV Box has been well-received by users and specialists who have tested its functions. Most of them consider that this device has fully covered their needs and requirements in the field of home entertainment systems, at an incredible price. What do customers who have used this product mostly appreciate about it? The fact that its features and performance totally justify the price of the TV box. The device comes equipped with everything you need for easy installation, proper functioning and the delivery of top performance based on the latest technology. Moreover, because all the essential streaming apps are preinstalled, users are able to use the device out of the box as a replacement for their cable subscription. Finally, it ensures regular updates to guarantee and improve features and performance. On the other hand, previous customers have found a few downsides in its case as well. The notable ones are the fact that you need to be careful how you install it to avoid stability issues. Some users had faced constant rebooting of the device when they did not manage to set it up correctly from the beginning. However, we are unable to reproduce any such issues. Given all its specs, software and hardware features, its performance score and the range of reviews it has received so far, we can conclude our analysis today by recommending the M8S TV Box to you. If what you want is a TV box that performs well, looks good, is user-friendly and gives you access to the latest streaming add-ons, this product might just be the perfect choice for you! All in all, these are must-have features for TV boxes in 2017. Therefore, if you choose to buy a new TV box this year, you should be able to benefit from all these features and capabilities. With the M8S Android box you get all the essentials of a great streaming device at a fraction of the cost of higher-end set-top boxes.